One of the many things that is fabulous about Fall (it is my favorite season) is the harvest of all the wonderful fruits and vegetables that are available. Things like apples, squashes, carrots, corn, fresh pumpkins and more, abound in the stores and on the tables. Not only are these abundant and delicious there is such an array of colors that I usually want to eat just about all of it. They do say you should eat the rainbow at every meal! 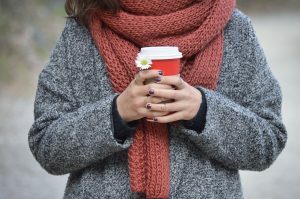 I also love this season as we start to have cooler days and bring out the warm cozy sweaters, start up the fireplaces and start to cozy up with our loved ones. And our bodies also naturally start to want heavier, heartier foods, warm and satisfying in our bellies, preparing for the winter ahead. 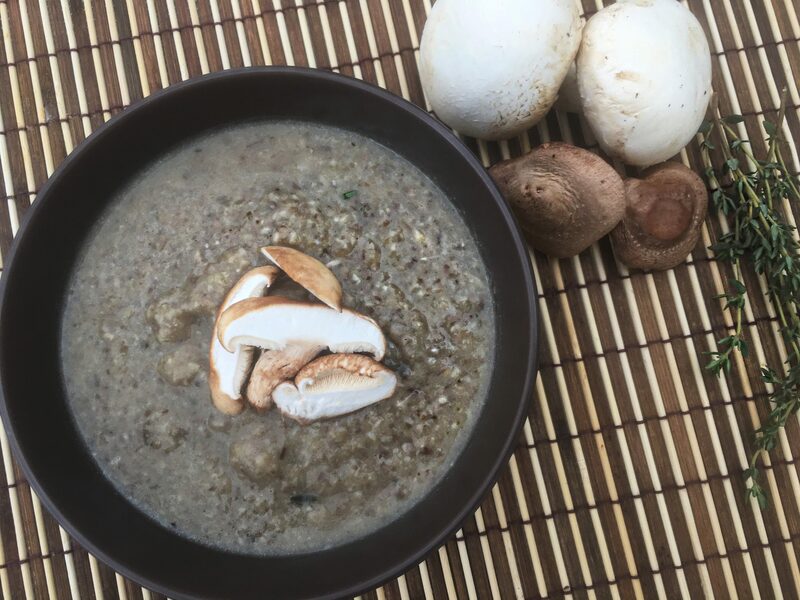 So it’s a perfect fit when we start to drift towards those yummy soups and stews, chilis and hearty meals, as not only is that what our body needs we also conveniently have an abundance of those foods fresh and at our fingertips. (This is no coincidence btw this is a natural rhythm of life as we are built to eat with the seasons, looking for the foods that are common and abundant in those seasons. This natural cycle of produce is perfectly designed to support our health and supports the body’s natural healing process. Think about how a fresh green salad can taste so good in the summer and is just what you’re looking for yet in the winter may not be as appealing). 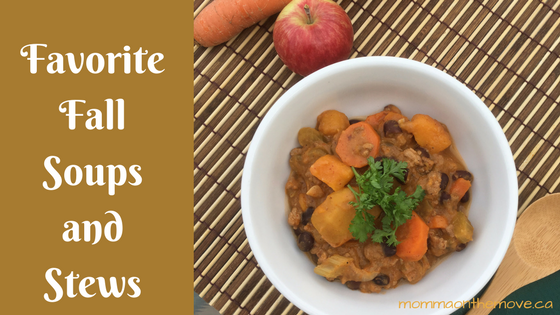 I also love the variety in the recipes that come with these fall soups and stews, so many to choose from! And so many of them can be done in the slow cooker another bonus for those busy days when you just don’t want to think about what’s for supper at 5 o’clock. Autumn Turkey Chili – a hearty flavorful chili that has such a variety of ingredients in it. 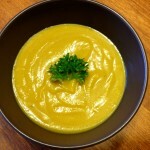 I love the addition of fresh apples and butternut squash. 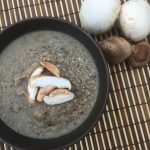 Creamy Mushroom Soup – this recipe was an original submission in an issue of Clean Eating Magazine and is the best dairy free mushroom soup I have ever had. I love the variety of mushrooms and the addition of fresh thyme. 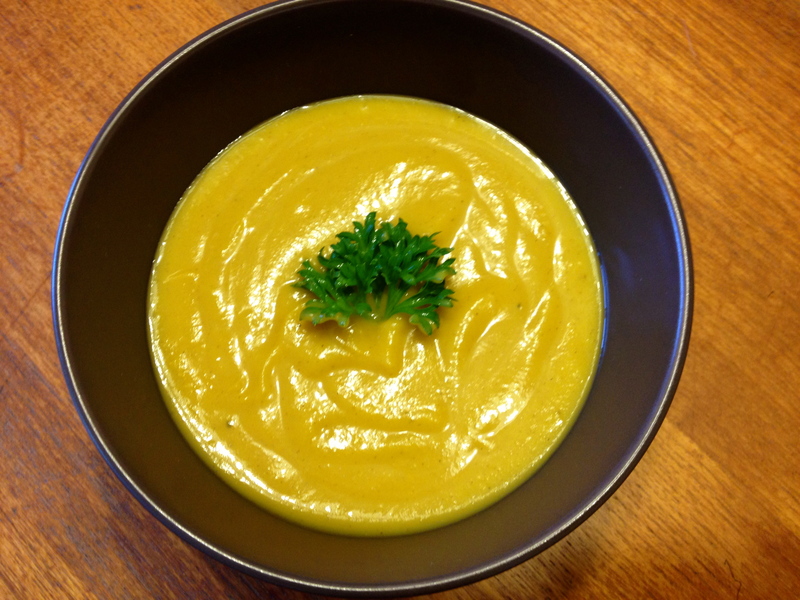 Butternut Squash Soup – a creamy flavorful soup with all my favorite Fall spices like cinnamon and sage. Broccoli Cheese Soup – a classic creamy soup that’s perfected in a dairy free version. I love it extra cheesy so I’ll often add just a little bit extra! Glorified Turkey – ok this is not really a soup or a stew but is absolutely one of my favorite fall dishes. Especially right after Thanksgiving when you have all those yummy turkey leftovers. The flavors of this dish are so simple yet so divine. What are your favorite Fall recipes that you like to break out as the weather cools?